Mix and match 3 or more concerts from the Classical and/or Pops series below and enjoy all the usual benefits of being a season-ticket holder, including our stress-free exchange policy. When your schedule changes, so can your tickets! Kenny G available only on Feb. 15, 2019. Madame Butterfly available only on Feb. 21 and 26, 2019. Buy 3 concerts, get the 4th FREE! Call (714) 755-5799 to get 4 concerts for one low price. 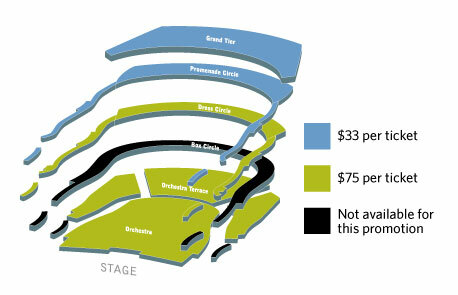 Get 20% off regular ticket pricing on Music of Queen when you purchase a 3-concert package. Call (714) 755-5799 for more information. You must have at least 3 performances to check out.